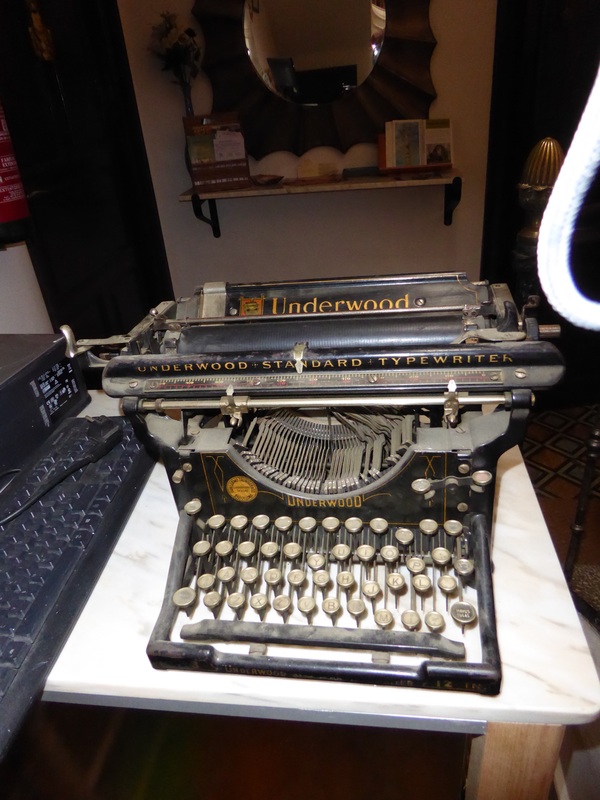 DAY 5 30 May 2015 a day off in Sahagun. During our lazy breakfast just off our square, we realized that people were setting up for the weekly town market. After wandering over to the cathedral to get our credencials stamped and going by the post office for postage stamps, we spent the next few hours wandering the market. Rod purchased sausage, cheese, olives, cherries, nuts and raisins ( all local products). Delana bought two scarves to jazz up her pilgrim “look” and a few things for grandchildren. It was such fun seeing all the families out. We seldom see children about in the small villages we pass through—most of the young families have out of necessity migrated to more urban centres. These small villages have buildings of bricks and mortar alongside mud and straw pueblo like structures. Somehow they do not appear discordant together. There is a quiet sadness to see the neglected and unused playgrounds, though. If it were not for the economic benefit of Camino pilgrims passing through, it is doubtful these semi abandoned villages would survive. 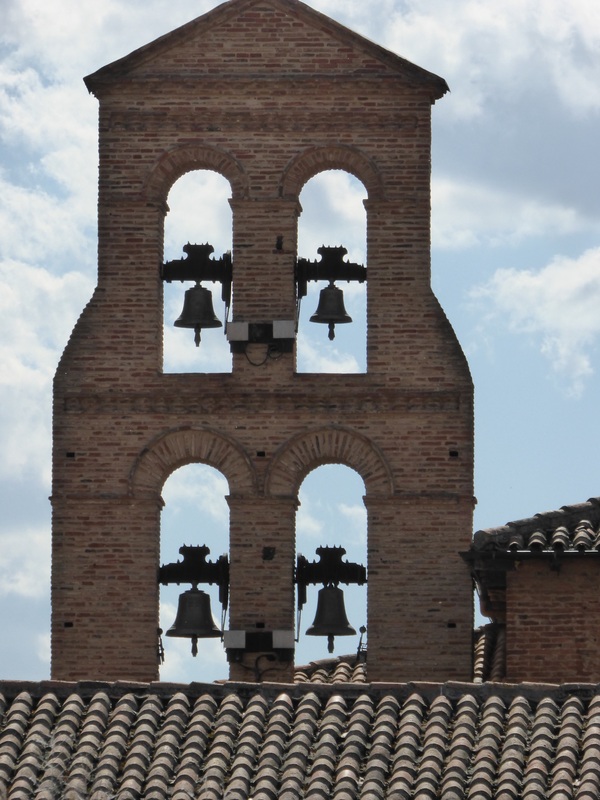 There is a uniqueness to some of the old buildings in Sahagun. 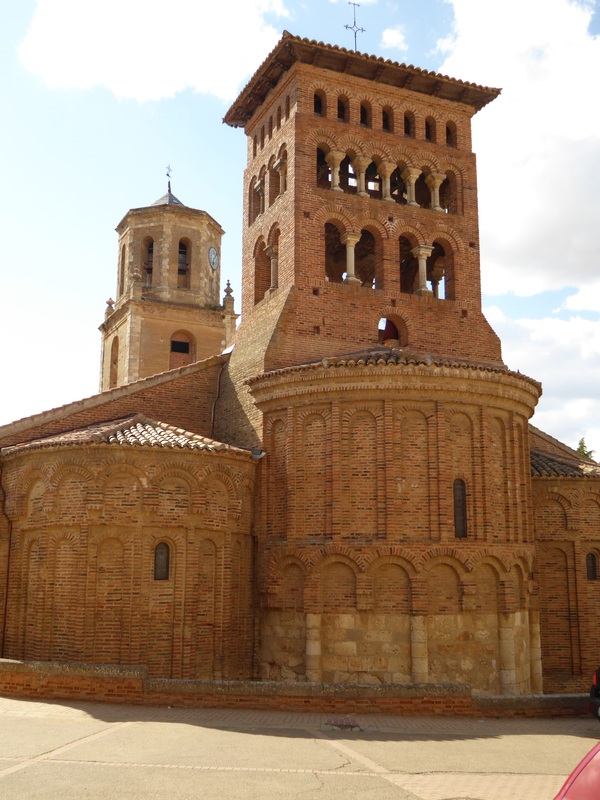 It is claimed Sahagun was the origin of mudejar architecture. Before the Spanish Inquisition a sizeable population of Christians, Jews, and Moors (Muslims) lived here relatively peaceably. The architecture became a blend of Romanesque, Middle Easter and North African styles—mudejar. Tonight was the final evening of a month long “Pintxos Crawl ” where each Fri and Sat various pubs and restaurants offered 1 Euro pintxos as long as you also purchased a drink. Patrons were given a little book in which to collect a stamp from the different places. This week those with completed books are entered in a draw for a trip and 200 Euros spending money. We participated by going to the two restaurants near our hotel for a pintxos dinner. Next weekend is the local bullfight here which we are happy to miss. Bull fighting had been banned in some areas of Spain from 2010. In 2013, the Spanish congress declared bull fighting a part of “Spanish heritage” and the senate passed a law protecting it. 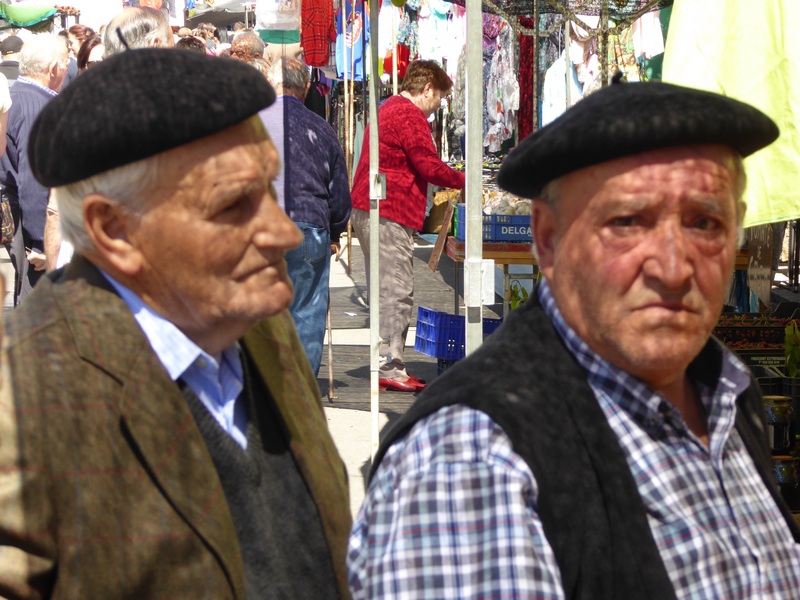 Las corridas de toros remains a very popular event throughout rural Spain. What a delightful day to take a break…. 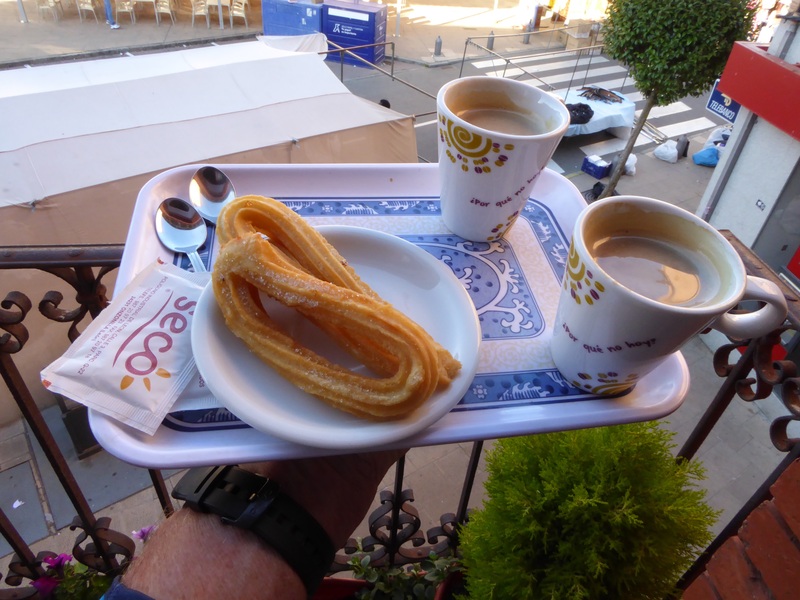 It was Saturday market day and the whole town turns out – not just to shop but to have coffee in the town square and to socialize with old friends. For the first time our accommodations fell short of our expectations, especially the do it yourself coffee. A quick trip across the street and a very friendly and understanding shop owner gave me a tray to take back to our room! Our accommodation in Sadagun was dated to say the least. I should have known, when we checked in, this was their computer! Examples of Mudejar architecture with foundations over a thousand years old. 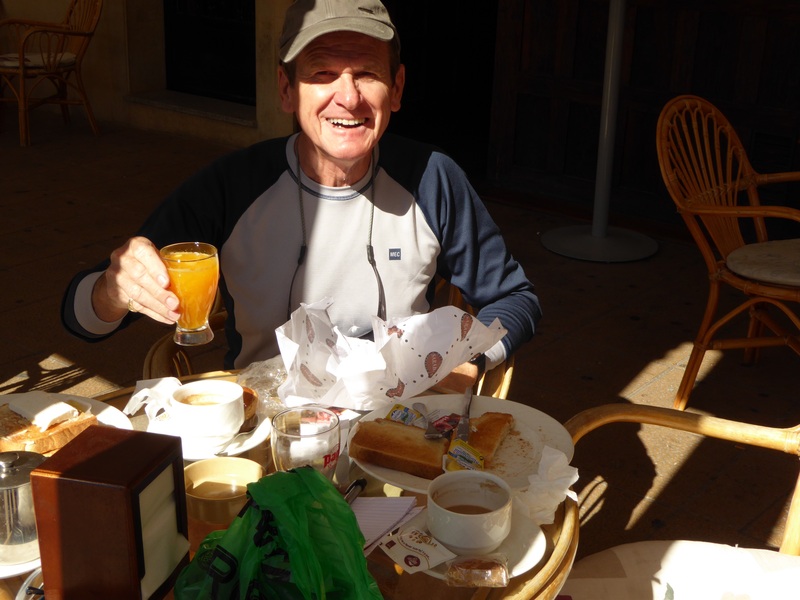 Breakfast in the town square with freshly pressed orange juice, coffee to die for and from the market, local cheese, sausage and bread. Cost – about $10 Will address food / eating out costs later in blog. 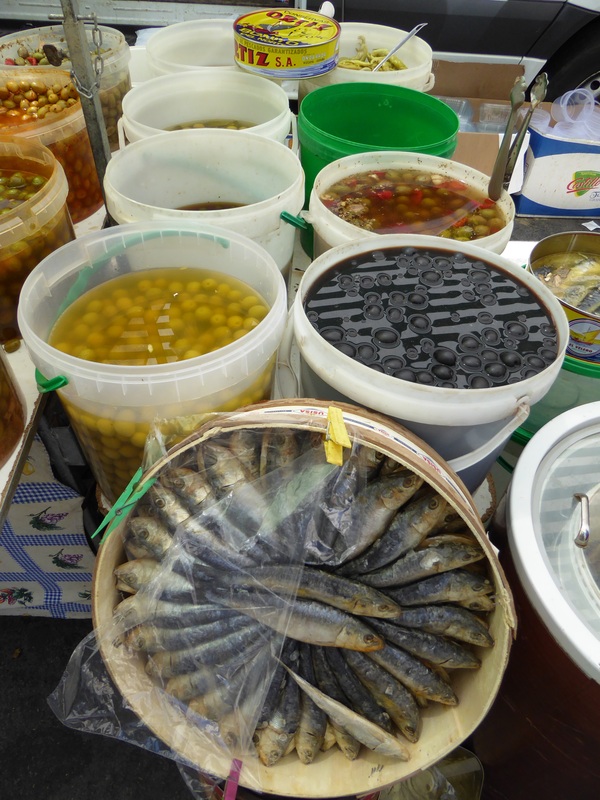 Wow – here is a real market – local cheese, sausage, olives, oil, sardines and anchovies. Life is good! Delana has addressed the current situation regarding the tradition of bull fighting in Spain. 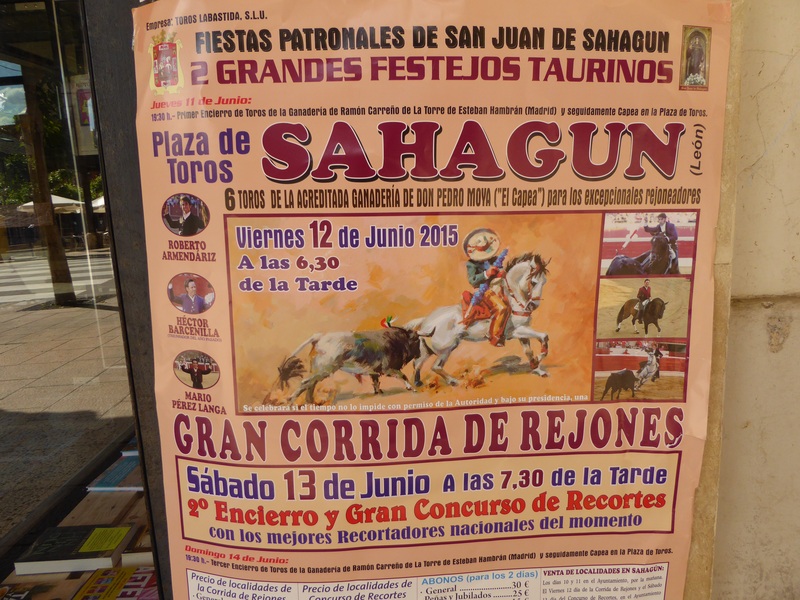 Here is a poster advertising the still very popular sport being held next week in the very town we were visiting. Bull fighting is covered on TV just as hockey is in Canada. dad you looks very please about your orange juice! Sounds like a fun day. Was a great day – what an opportunity- perfect weather, such an interesting market AND apple strudel! !